ISLAMABAD, Pakistan — Shrouded in white, the spy’s bullet-riddled body was buried Sunday, and with it clues to a cloak-and-dagger mystery gripping Pakistan. The funeral was for Khalid Khawaja, 58, a former Pakistani intelligence agent who journeyed last month to the militant-controlled borderlands of North Waziristan, only to be killed by a little-known insurgent group that accused him of working for the CIA and its Pakistani counterpart. That is where this whodunit becomes more of a why-done-it. Khawaja placed himself solidly in the anti-American, pro-Taliban camp. So did his traveling companion, a fellow ex-spy and U.S- trained Taliban architect with the nom de guerre Colonel Imam. “How could the mujaheddin kill their supporter?” asked Mohammed Zahid, 45, an engineer who was among a modest crowd standing under a baking mid-morning sun at the funeral. The answer, according to emerging clues and security analysts, is that North Waziristan, once a hub of Taliban fighters with links to Pakistan’s military, has evolved into a stewpot of militant groups, each with different loyalties. Old Taliban ties may have meant little to the Asian Tigers, the group that said it killed Khawaja and is thought to be a Punjab-rooted organization battling the Pakistani state. The ISI – a proxy for the Army, since Z.A.Bhutto’s creation of ISI’s infamous Political Cell – seems to be making it clear that it (too) is beyond accountability. After Malik Qayyum tried to show he still had some nuisance value by declaring to Hamid Mir that ‘a former head of a powerful intelligence agency had confirmed to him that (the missing person) Mr Janjua was dead’, there were news items about the police (possibly) investigating a handful of former and serving intelligence and army officers in relation to missing persons. Mrs Amina Janjua promptly responded to the possible muddying of the intelligence agency’s name by writing to The News. She declares in this letter that she does not seek investigation against any ‘valuable’ national agency and does not wish their ‘good name’ to be called into question. She still considers her quest for justice for her missing husband to be noble, just as noble it would seem as she considers our national agencies to be. She declares that she holds the US responsible for her family’s woes and only seeks justice against the US… in a Pakistani court, one must add. Both the petitioner and the court had a very different view of the same state and its agencies under the dictator Gen Musharraf. The tone and tenor with which this view was expressed was very different too. Indeed, one of Musharraf’s (completely fake) complaints against the SC was that it ‘had been setting free suspected terrorists’. “Why are Pakistanis so prone to conspiracy theories?” a colleague at Cambridge recently asked. He was referring to recent debates about the presence of Blackwater in Pakistan. A version of this question is echoed by the liberal intelligentsia of Pakistan. The local version emphasises the focus on Blackwater within the rhetoric of a segment of society, notably the Islamists. A common refrain amongst the liberal intelligentsia to the question of Blackwater presence in Pakistan is that we must look inwards, we must critique ourselves and our own creations such as the Taliban before we focus on Blackwater. Through framing any critique of Blackwater as conspiracy theory, there is some congruence between the stance of my colleague at Cambridge, who is largely unfamiliar with Pakistan, and the liberal intelligentsia: they both see this focus on Blackwater as an illogical act, as a hiding behind and of course, as an abdication of our own responsibility. 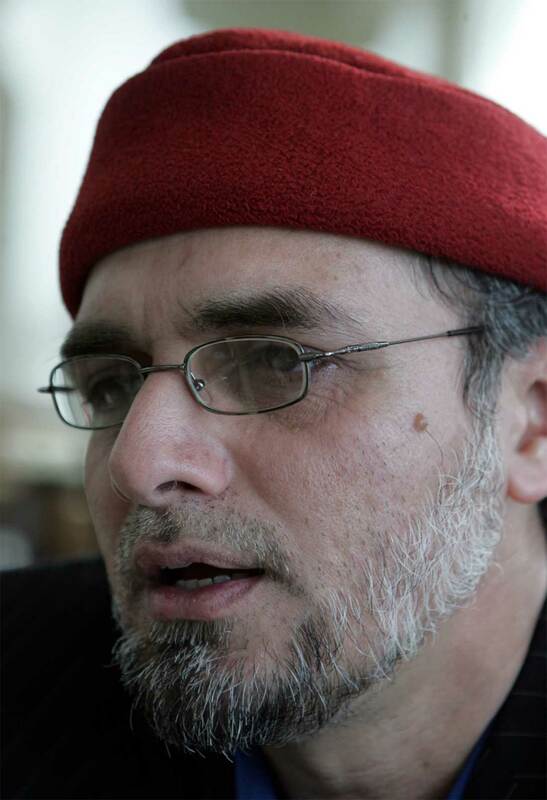 Zaid Hamid is a name thrown about quite a bit these days. Who is he and what does he want? Well I am sorry to disappoint his fans and supporters but Zaid Hamid is a small time nutcase and an Afghan war veteran who has probably been picked up some foolish schemer in the ISI to strengthen right-wing pro-Islamic ultra-nationalist sentiments described by them as “Deeni Ghairat”.